Why did no one ever discuss the simple, yet profound wisdom concerning the Tree of the Knowledge of Good and Evil. since it completely shapes our idea of the very nature of God? The author painstakingly takes the reader into God's perfectly loving nature by showing that God never created anything that might distant His love from us, and as any Biblical reader knows, God never created anything that might tempt His creation to do evil. 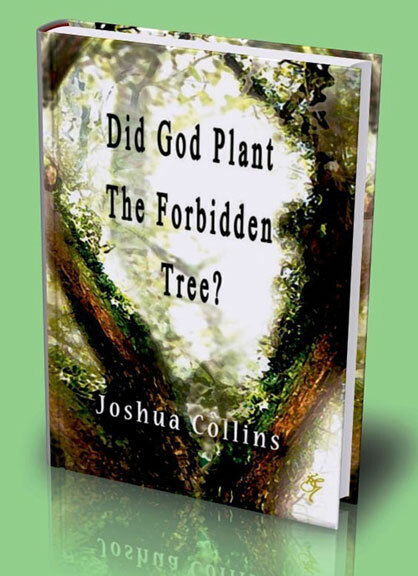 That being clearly stated in this book, why do people think God "created" the Tree that caused humanity to fall and to destroy the perfect relationship with God that people once had? Why did Jesus call Himself the Son of Man? Who was the son of Adam? What is the implication for Jesus' redemptive act of the Atonement in context to this Tree? What exactly happened back in the Garden of Eden? This book explores these issues in great depth, with a wisdom not before entered into surrounding the mysteries of humanity's first sin of disobedience and the disasterous consequences that followed. The author shatters the myth of the talking snake and the forbidden apple, and brings to light the actual darkness and horror that took place in the Garden, that few, if any, are aware of, or took the time to discover. Understand God's love and nature in a new light through this book. Discover how the Tree of the Knowledge of Good and Evil actually came into existence, what that first sin actualy was, why the ground was cursed and women suffer through childbirth as a result of that first sin, and how the "punishment fits the crime and the grace fits the punishment." Learn how the death of Jesus "fixed" our fallen world, and how Jesus binds the entire Scriptures into one seamless, logical, loving whole. This book will cause you to see God's love and mercy in a profoundly deeper way.